There are many fun things to do outside of Orange County. Unfortunately, many families (including mine) don’t know of a good place to dine in Los Angeles. Having lived in Orange County all of my life, I am always surprised that I still don’t have any favorite Los Angeles dining destinations until now. 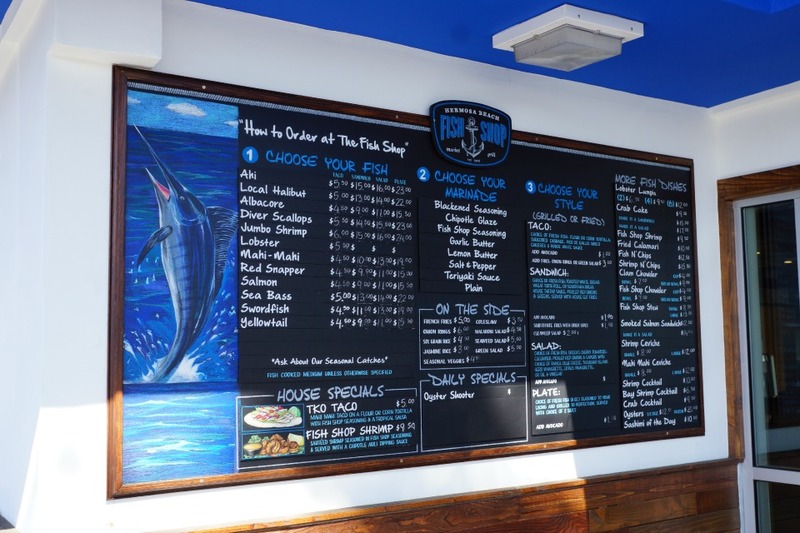 When in Hermosa Beach earlier this summer, we were in search of a healthy place to get dinner, and discovered the Hermosa Beach Fish Shop. When we first walked into the Cape Cod styled restaurant, we were greeted by friendly employees that walked us through the ordering process. 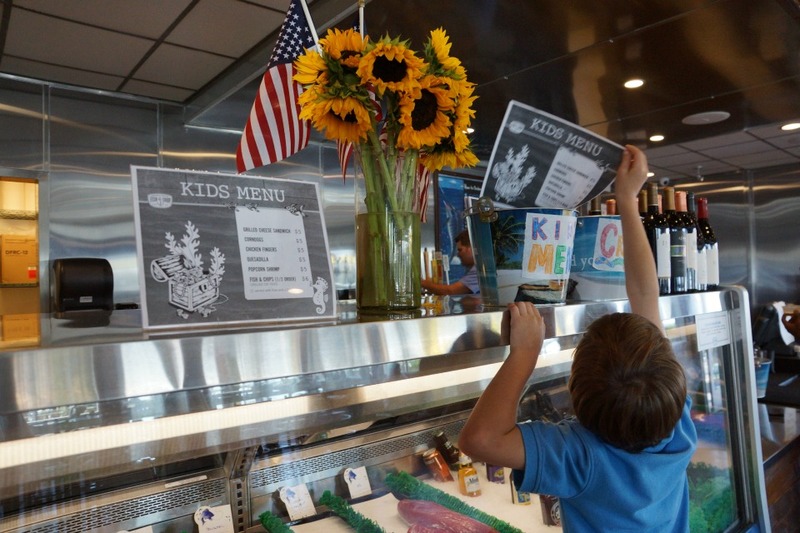 The menu process is designed so that families can get exactly what they are craving when coming to the restaurant. It is simple! You pick a fish, pick a marinade and then pick a style. The options are endless! It is a “fast-casual” style restaurant. Families can feel comfortable dining without the worry of ruining someones dinner in a “fancy” restaurant. When we dined at the fish shop, we choose a comfortable table on the relaxing outdoor patio where the kids colored while my husband and I enjoyed each others company. 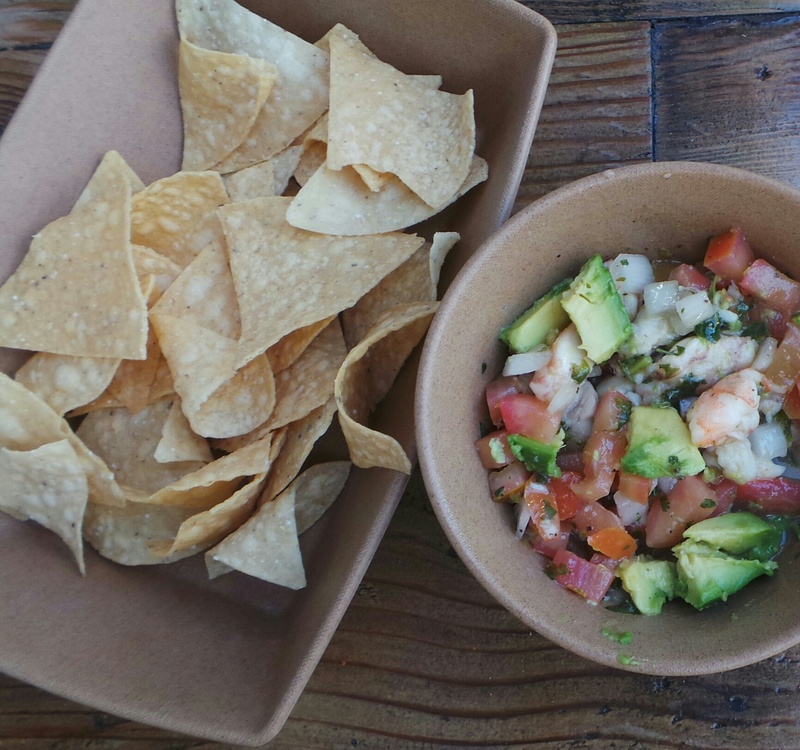 We couldn’t decide between the shrimp or mahi mahi ceviche, so we ordered both. 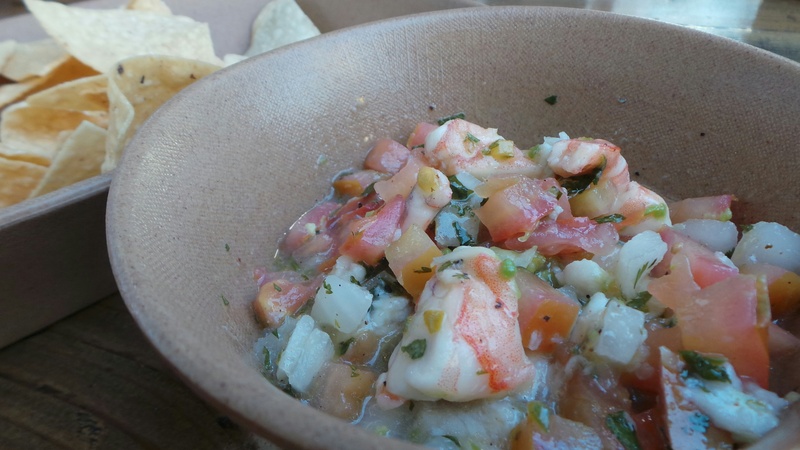 The ceviche was fresh and full of large chunks of fish. It was served with warm chips, and was the perfect start to our meal at the Hermosa Beach Fish Shop. The highlight of our dinner was the Fish Shop Shrimp. 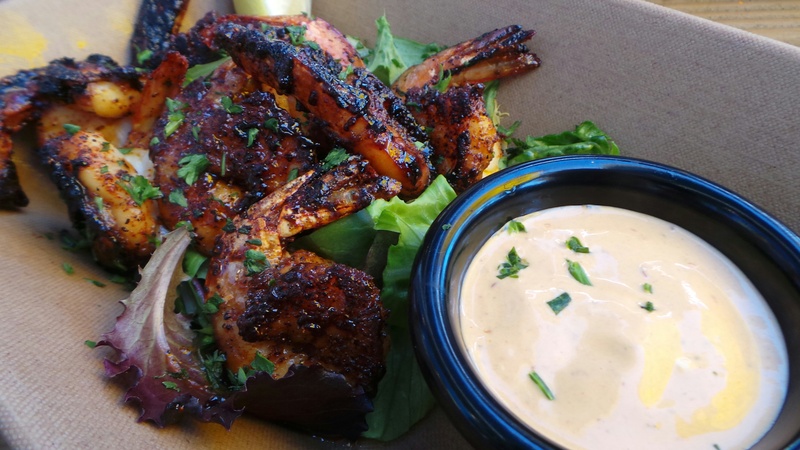 It was the most delicious shrimp dish that was seasoned with Fish Shop seasoning, sautéed and served with a chipotle aioli dipping sauce. 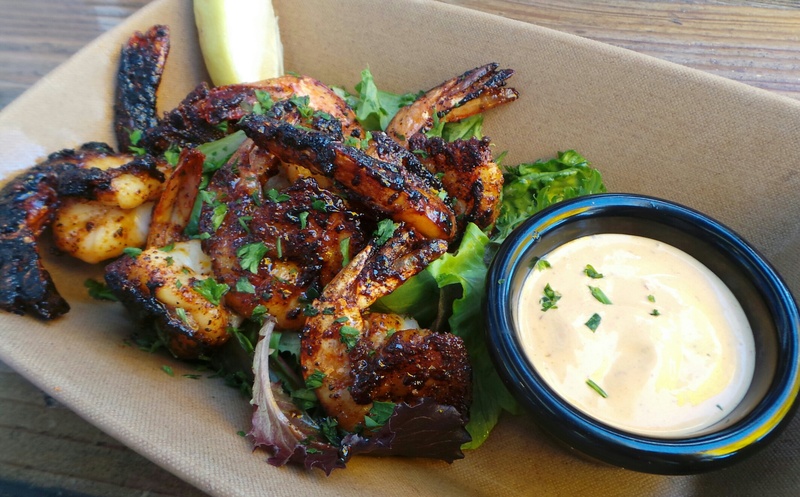 I have found myself driving back to Hermosa Beach multiple times just to get more of this tasty dish. The other dish that I ordered was the TKO taco. The taco was just $5 and was big enough to be my entire meal. 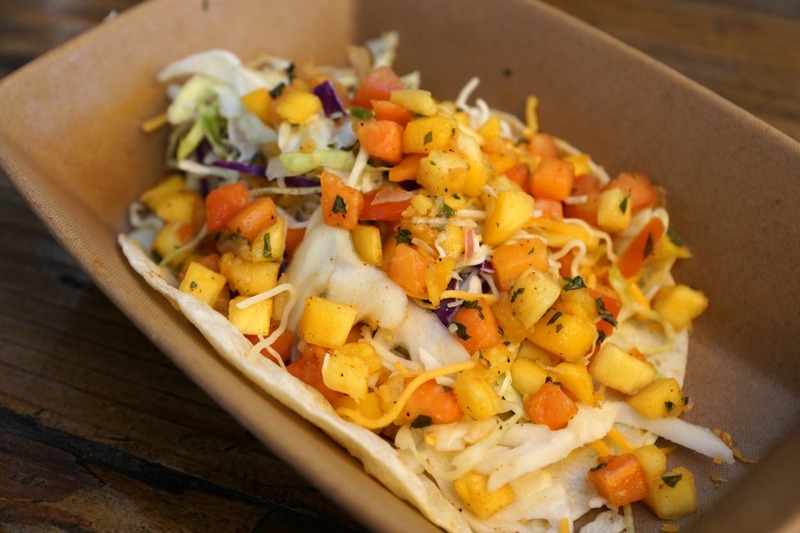 The large taco came filled with freshly grilled mahi mahi that is marinated in their secret Fish Shop seasoning. It’s topped with shredded cabbage, cheese, house white sauce and tropical salsa. My husband created his dish with the three-step ordering process. 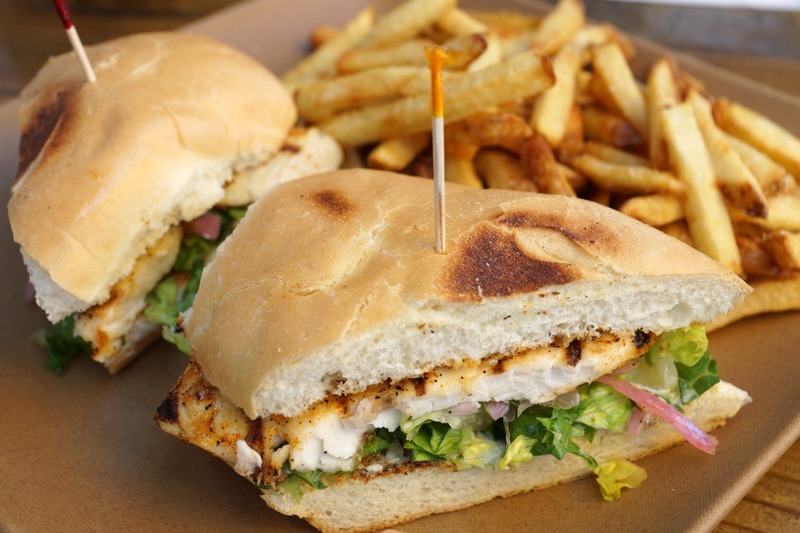 He ordered a mahi mahi sandwich with the Fish Shop seasoning. The bread was soft, and the fish was cooked to perfection. Finally, my husband and I, both had a bowl of chowder to go with our meal. I ordered the traditional clam chowder while my husband ordered the Fish Shop Chowder. 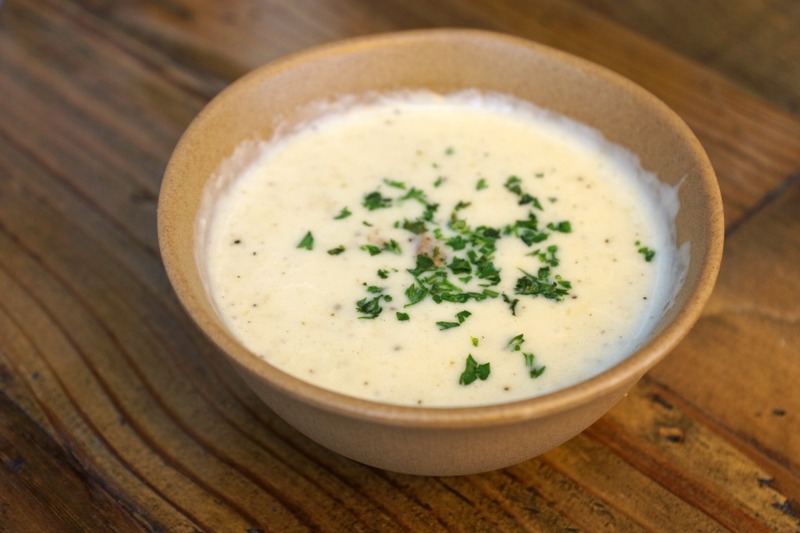 The difference is that the Fish Shop Chowder comes with smoked andouille sausage, and was our favorite of the two. The kid’s meals were just $5 (except the fish & chips) and came with fries and a capri sun. 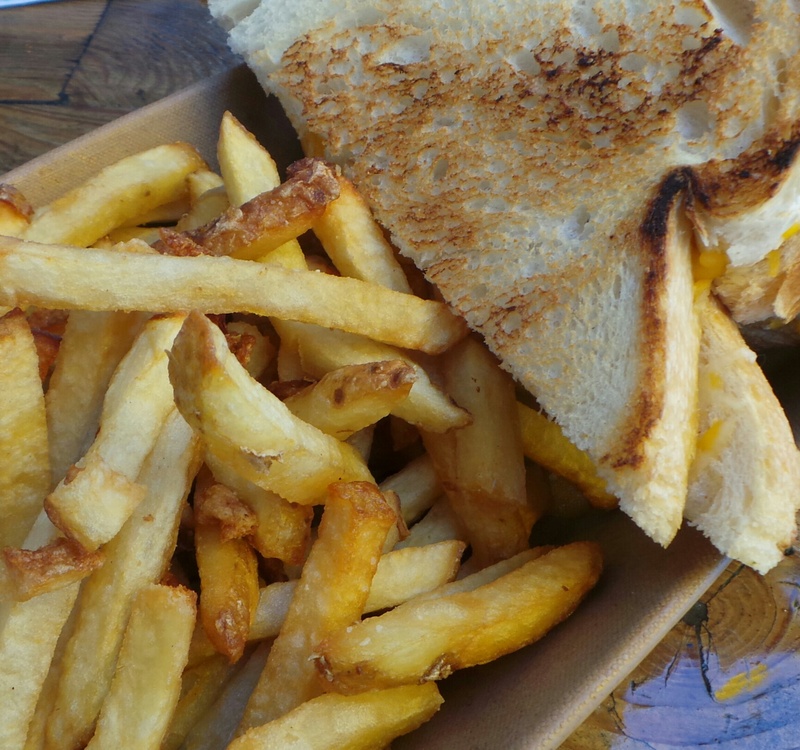 Our daughter ordered the chicken nuggets, while our younger son got his go-to dish…a grilled cheese. 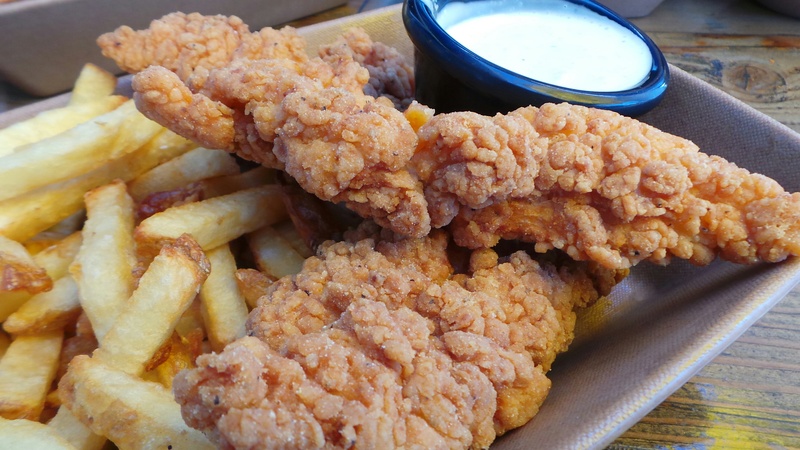 It’s not just their secret Fish Shop seasoning that is a mystery, but also how they make their fries crisped to perfection. 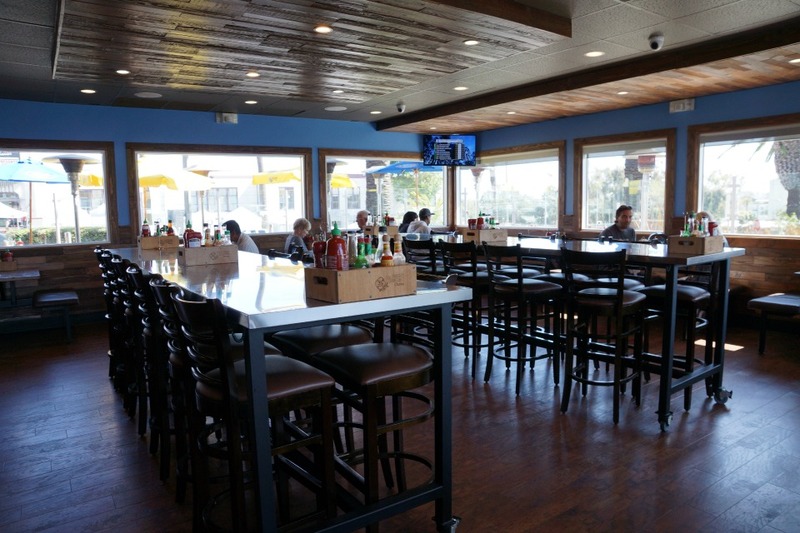 Next time your family is in Hermosa Beach, make sure and stop by the Hermosa Beach Fish Shop for lunch or dinner. 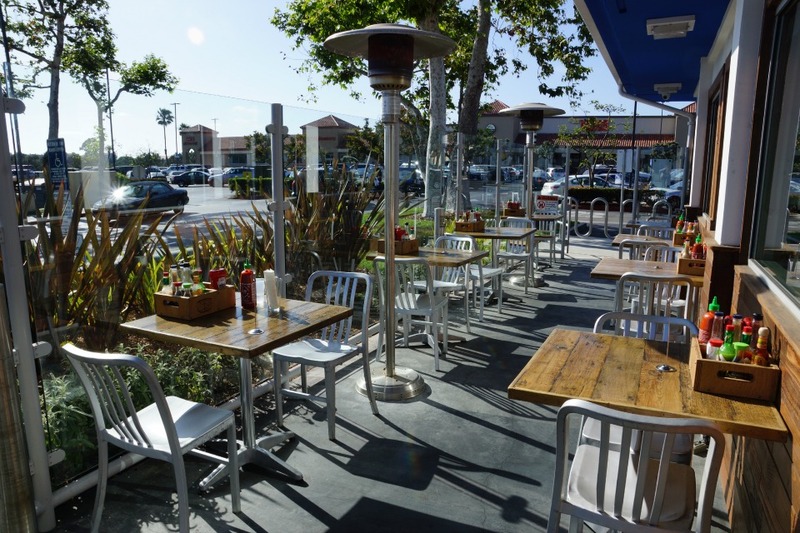 They are conveniently located at 719 Pier Avenue in Hermosa Beach. 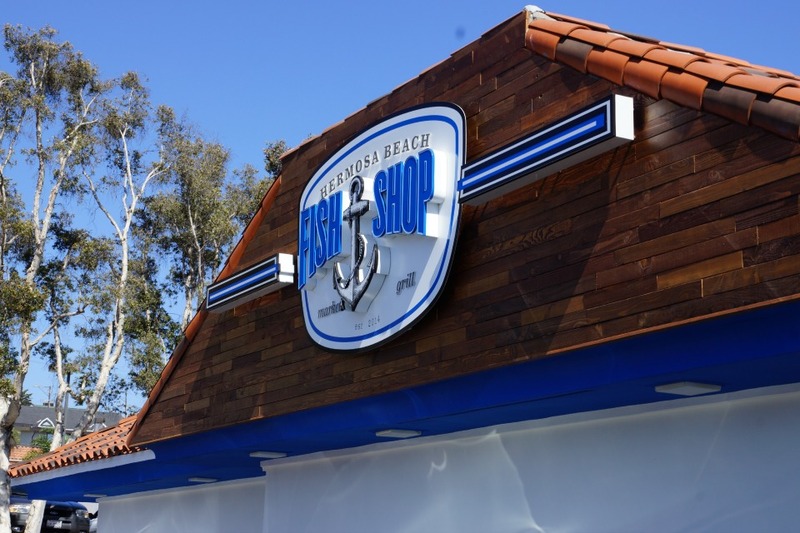 They are open 11am to 10pm and can be found at thefishshophermosabeach.com.